In May 2016, I began researching how cold lasers/low level light therapy (LLLT) could help children with special needs. My daughter, Presley, would turn 5 the following month and like many parents, I wanted to ensure we were doing all that we could to help her reach her full potential as well as assist her body to function optimally. 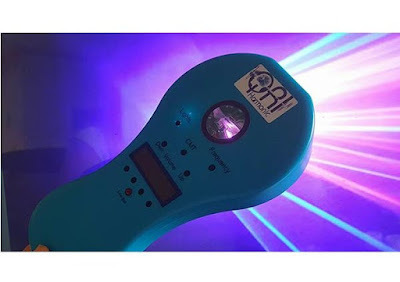 In this post, I will provide the information I have found to support the use of cold laser and address some of these issues, as well as our positive experience using the laser. I will attempt to keep it easy to understand, and I will keep the source visible so you can see these are reputable studies and read further if you desire. There is also an abundance of personal testimonies using the laser for many other issues available throughout the web. We purchased our laser in June 2016 and are using this laser from QRI which addresses using the laser for reflex integration. Many of our children, as well as most of us, have unintegrated reflexes. Using this laser has made integration easy with reproducible results. Many occupational therapists have been trained in reflex integration and utilize the laser specifically for this. The owner, Bonnie Brandes, is trained extensively in MNRI. Reflex integration is extremely important with our children with different needs as typical development is delayed, therefore so is typical reflex integration. Here is an article explaining reflex profiles specific to Down syndrome. 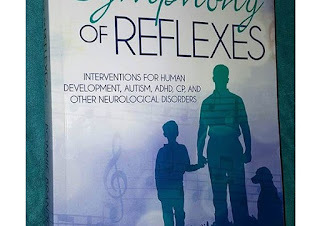 You can learn more detailed information about reflex integration from Bonnie's book called The Symphony of Reflexes found here on amazon or here on the QRI website. 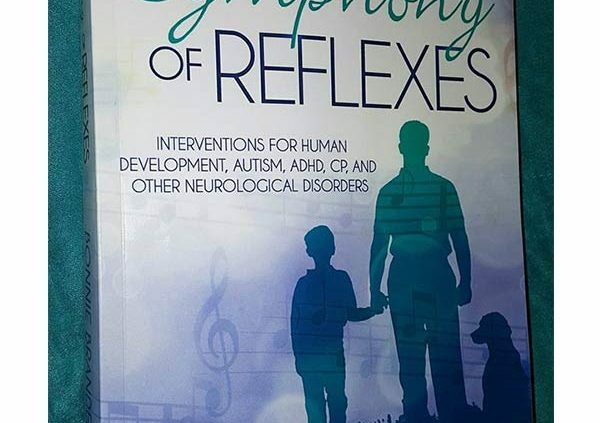 I have previously taken detailed courses on reflex integration and knew that it could take 4-6 weeks to integrate a reflex. Now, with this laser, I can see integration in one session. That doesn't mean it will remain permanently integrated, just like one chiropractic session may not be enough, so conducting sessions on a regular basis should prove very helpful and build a more solid foundation. This laser comes with online training and gives you a book with detailed instructions, which also make this laser very different from others. You simply go in the exact order it shows you and at the next session, you pick up where you previously stopped. How often do you use it? This varies depending on the age, tolerance, and symptoms of the child. For children around age 5, it may be a 20 minutes session each day. For an older child with more concerns, a session could be an hour. You can conduct these sessions every day, every other day, weekly, etc.. depending on the needs of the child and the issues you are addressing. Currently, I am able to do our sessions while the girls are awake. They enjoy watching a movie and frequently yawn during each session. My neurotypical 6 year old stated "I love the way it feels afterwards", and Presley actually asks for her laser session. Many parents perform their sessions after the child has gone to sleep. Side effects: I found no documented side effects from laser use. A few parents made comments about a headache, being tired, vivid dreams, and a temporary increase in negative behavior or emotions. Bonnie said this was not unusual as the brain reorganizes itself. I noticed Presley's eye movements worsened for about a week then settled down with less issues than before. It is not recommended for use over eyes, thyroid, or cancer. How can the laser potentially help your family? Decreased beta and improved coherence are probably the most important findings. The beta would be getting in the way of any functioning deficits. (I think she meant benefits) No one does well when overly anxious or stimulated or when the brain is irritated. The improvements in coherence are actually rather exciting as frontal-occipital coherence is associated with reading smoothly, judgement, mood, executive functioning. Improvements in central and frontal locations may be associated with improvements in coordination, and strength. School testing - Lydia improved 2 levels on a standardized reading test since April. No summer reading program. Just laser." (posted with permission from Jane). 7. Speech - There are many reflexes related to speech and communication. I used the basic reflex integration protocol with Presley for the first two months. We then added the TALK program. Presley was diagnosed with "severe apraxia" at age 3, and we have worked very hard continuing to input despite the limited output. However, we can definitely attribute our increase in speech and communication to the current use of the laser. Presley went from 3 word sentences to 5 word sentences within a week. She handed me a book and said "read it to me please". Later, when asked about her day, she told her dad about her baseball game by saying "swing, swing, swing, hit ball and run". She had never described her day to him before. Soon after when arriving at a nearby lake, she immediately said "ocean, dolphins, daddy's big boat" and began looking for dolphins. These were new words for her and completely unprompted. We immediately noticed she was also singing along with songs. She began telling me if her bath water was "too hot" or "too cold". We had also worked very hard on the letters D, N, and T without success previously, but a month into the TALK program, she just began saying them on her own. Here is an example of her spontaneously singing in the car to songs on the radio. UPDATE: October 2017, Presley age 6. We are up to ten word sentences. We are having conversations. Her speech has improved tremendously. Yes, we do many things in addition to the QRI laser, such as a neurodevelopmental program (NACD), supplements, etc.. The addition of the laser seemed to open up and allow everything we had been working on and learning to come out. See below videos 17 months after beginning. In addition to the TALK program, QRI offers other products with programs here such as ASD, THINK, Move & Sensory integration, and UNITY. * Cellulite - Low-level laser therapy using green 532 nm diodes is safe and effective for improving the appearance of cellulite in the thighs and buttocks. In contrast with other technologies, LLLT is effective as a stand-alone procedure without requiring massage or mechanical manipulation. Future studies will assess the long-term benefits of LLLT for the treatment of cellulite. - Tissue healing is a complex process that involves local and systemic responses. The use of low level laser therapy for wound healing has been shown to be effective in modulating both local and systemic response. - Here is an indepth study about Alzheimer's and upregulating BDNF using LLLT. I wrote this post to help parents who are interested in learning more about the benefits of cold lasers. I am not a consultant or advisor for QRI, but this is the company I chose to use, and the staff has exceeded my expectations in their customer service and personally taking time to answer all of my questions. They are not medical professionals and will not give medical advice. As a consumer, I have seen incredible results, both cognitive and physical, that seem to be shared with every other parent that utilizes this device. I participated in the online program and in person training class when Bonnie Brandes and Jamie Barker attended the Down syndrome Innovations conference here in Little Rock, Arkansas. As part of our mission at 3 of 21, I want to ensure parents have the most information at their disposal regarding what we believe to be the most beneficial technologies or therapeutic aids available at the time. This device and learning program from QRI definitely meet this criteria, and I hope you find this information helpful to you and your family. UPDATE: There will be multiple speakers discussing cold laser?LLLT therapy at the DS Innovations conference in Houston this year, October 28-29, 2017. If you can not attend, the videos should be available for purchase afterwards. 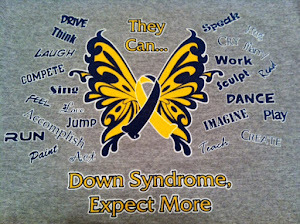 Learn more at http://www.downsyndromeinnovations.com/. Many physicians, therapists, and parents have began using the laser, and I look forward to hearing what they have learned and what results they are seeing!